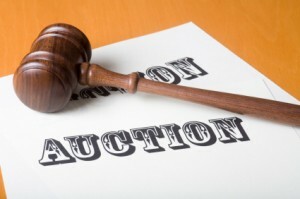 How to Recruit Generous Bidders to your Fundraising Auction? Dozens of times throughout the course of the year I’m asked by benefit chairpersons across the country, “Why don’t people show up for charitable events?” Then they go on to explain what they did to promote their once-a-year fundraiser. They advertised in the local paper and social magazines. They ran some free spots on the local radio. They placed the information on their website, email blasts and other social media outlets. And they passed out flyers at local businesses willing to tape a sheet of paper to their window or wall. I’m quick to say that’s great. But when I ask, “Did you cover the 3 C’s?”, they pause for a minute – the gears in their brains working overtime – trying to decipher what the heck are the 3 C’s. Perhaps it will help if I list the Top 3 reasons people DO NOT attend fundraising events. 1) They are not asked. 3) They think they won’t have any fun. As for Number 1, the first C stands for Contact. Sending out an invitation is great but personally contacting someone, especially friends, and asking them to attend more than doubles the chances they will. This is also a great opportunity for a 30-second pitch on the organization’s mission and why the funds are needed. As for Number 2, the C stands for Camaraderie. Assure invited guests they will be among friends. And if they won’t know anyone attending, be sure to tell them you have friends and important community contacts you’d like for them to meet at the event and make the introductions. This way they have something to look forward to. Everybody can use new friends. And finally Number 3, the C stands for Celebration. Keep the event FUN & FRESH. Don’t be afraid to let all attendees know the program’s highlights and mention there will be a few surprises. Keep the mood festive, the guests entertained and the event’s pace moving. There should never be a dull moment. Casey Kasem had his Top 40. David Letterman has his Top 10. I only have a Top 3. But boy, what a difference they make. Incorporate these Three C’s into your event planning and watch the C NOTES roll in.